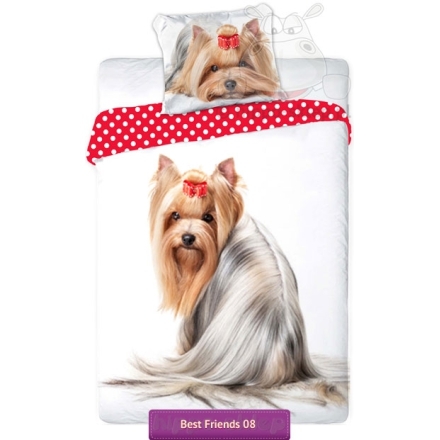 Teens and kids bedding with small Yorkshire terrier breeds dog with exceptionally long coat from Best Friends collection. 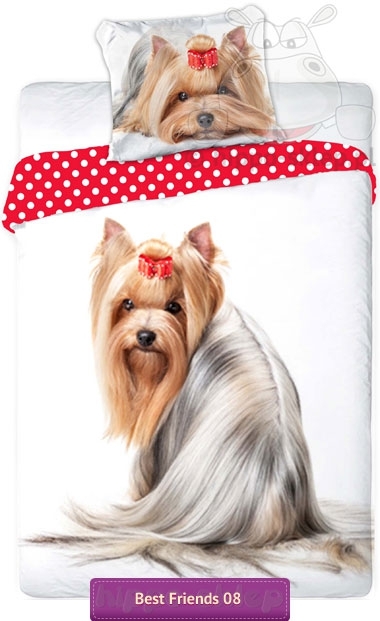 White cotton bedding with Yorkie kids and teens favorite dog with a large figure of little terrier with a red bow on his head and a red reverse bedding in polka dots. 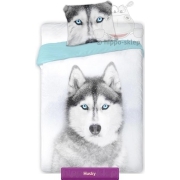 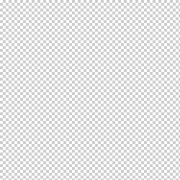 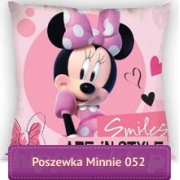 Bedding set for girls with single duvet cover sizes: 135x200 cm or 140x200 cm and also twin size 160x200 or 150x200 cm depending on the chosen size option with one pillowcase size 70x80 cm. 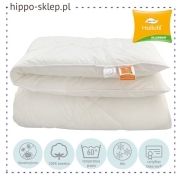 Kids bedding with Yorkie made of 100% cotton, duvet cover and pillowcase zippered fastener, certified according to Oeko Tex standard 100. 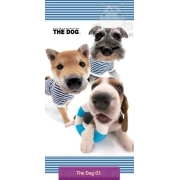 Great idea for a gift for sweet lovers of these cute little dogs.